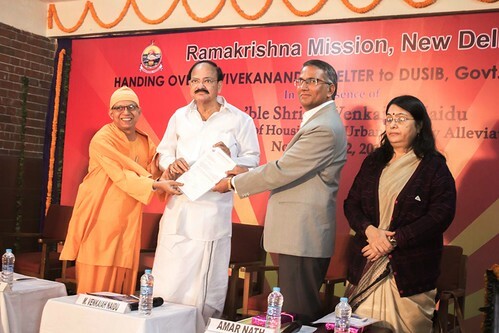 We are glad to inform you that the four-storeyed Vivekananda Shelter for the homeless constructed at a cost of Rs. 1.65 crores was handed over to the Delhi Urban Shelter Improvement Board (DUSIB) yesterday morning i.e. 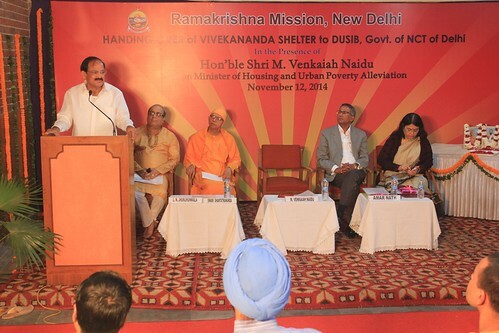 12th November, 2014 in the presence of Shri M. Venkaiah Naidu, Hon’ble Minister for Housing and Urban Poverty Alleviation, Govt. of India. 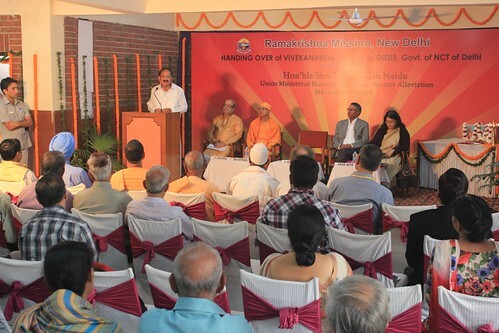 Both the Hon’ble Minister as well as Shri Amar Nath, I.A.S., CEO of DUSIB, showered high praise on the work of Ramakrishna Mission. They said that the Shelter is the best in Delhi and would serve as a model for the entire country. They were also highly appreciative of the fact that the entire construction was done in a very short time of about eight or nine months. But, sadly very few of our devotees could attend the function. Those who could not, really missed an opportunity of being present on an historic occasion. 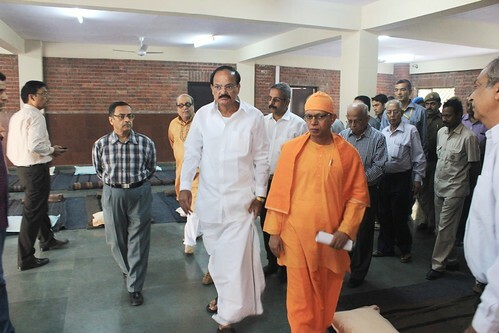 For the first time the Ramakrishna Mission has constructed a Night Shelter for the service of the really poor and needy, virtually the homeless. Sri Ramakrishna and following him Swami Vivekananda have spoken so much about service to God in Man i.e. Shiv Gyan se Jiva Seva. In that sense the Night Shelter is truly a place of pilgrimage, a Tirtha Kshetra.